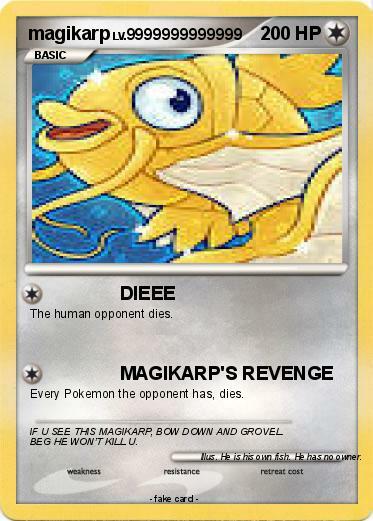 Every Pokemon the opponent has, dies. Comments : IF U SEE THIS MAGIKARP, BOW DOWN AND GROVEL. BEG HE WON’T KILL U.
Illustrator : He is his own fish. He has no owner.